« Stop using unlinked footnotes, please! Coincidentally coinciding with my birthday, my first first-author publication came out this week. A nice birthday gift. Considering the paper has been seven years in the making (and that I’ve only been in the ecology field for a little more than nine years), this publication is also a moment for reflection for me. I’m hoping this post is useful for grad students (don’t follow my example) and, perhaps, their advisors. When I began graduate school, I had few illusions. I knew that I would not only have to learn the field of ecology (to which I was brand new), but that I would have to excel if I wanted one of the scarce good-quality jobs after I graduated. So I set myself some concrete goals. And I met all of them, more or less, with the exception of one. I had intended to have all but one of my dissertation chapters published by the time I defended. (In retrospect, I would have considered “submitted” to be a success.) When I actually defended, I had 0/4 chapters published and just 1/4 submitted (and rejected). The personal is pretty straightforward. During these last seven years, I have had two babies and have moved cross-country three times to accommodate my growing family and job opportunities for me and my husband. When I am squeezed for time in months before birth and the year or so following birth and the month or two before a move and the several months after a move, I’ve had to focus on the most immediate priorities. When I was a grad student those priorities were: ensure I had funding and was making progress toward a dissertation. (Because the bar for a dissertation is lower than for publishing, I made progress towards publishing, also, but not past the dissertation goal post.) When I was a postdoc, those priorities were simply: keep up with the responsibilities of my postdoc position. I was very thankful for an experience I got assisting one of my advisors with one of his papers. (I did the modeling work for the paper.) As he worked on the paper, he brought me into the process, showing me his thinking of how to frame the paper, then realizing that another bit of data would really strengthen the argument, then reframing the paper, and so on. It was only then that I began to realize that writing was integral to the process of science. It isn’t like writing a lab report in school, where you do the experiment, analyze the data, and then write the paper. Instead, often, these steps are intertwined. This is a totally important point that I wish I had learned earlier. For my current postdoc, my advisor/boss is younger – an associate professor – and more in tune with what is needed to get an academic job these days. He is highly publication-oriented, with the idea of “what paper are you going to write?” guiding the scientific process the whole way. He is prolific, and his graduate students generally publish more than one paper before defending. I should note that he is prolific in the positive sense; he doesn’t believe in publications just for the sake of publications. Instead, he believes that little bites of research shouldn’t be wasted. Individual steps in a larger story can be their own papers. They should be solid science in their own right, but they can be bricks in a wall or stepping stones to an island — or whatever science-is-incremental metaphor you want to use. In retrospect, I realize that I could have written quite a few short and straightforward papers as a grad student that would have been worthwhile to publish. And in retrospect, I wish I had learned that publishing one or two of these smaller papers would have been very valuable. At the time, I thought that it wouldn’t be a good use of my time – that I should spend my limited time on coming up with something bigger and better, something impressive. But the process of scientific writing and publishing is a series of learned skills. And I think it might be much easier to learn these skills on a simpler, less high-impact paper. Instead, my first paper has had quite a saga. Which brings me to the third area: academic publishing as an institution. I am (obviously) fairly new to the scientific publishing world, so I want to tread carefully here and not make any broad generalizations. Here’s the path my one paper took, and I am not implying that this is a common path (but maybe it is; I don’t know). I spent several years working on the paper’s content, interrupted by two cross-country moves and a baby-having. I started writing the paper in earnest in 2013. I was running out of grad student funding and needed to finish my dissertation. I wrote up the paper for publication and submitted it at the end of July. It got sent out for review and came back in September: reject. My energy at the time was fully focused on my defense, which needed to happen by the end of the year. This paper got put aside; it was good enough for a dissertation chapter, and that was all I needed to maintain a steady income (and therefore the childcare I needed to finish writing my dissertation). Then I moved cross-country again, started a new job (my postdoc), and had another baby. The paper sat. I finally picked it up again in January of 2015. The original rejection had been mainly due to an addressable modeling issue. So I ran lots more model simulations, and updated all the text and numbers. The additional modeling hadn’t changed the main story qualitatively, just the details. Now I had a conundrum: where should I submit it? Discouraged, I wrote to my grad advisor: “am I allowed to resubmit to the journal that originally rejected the paper?” I assumed this was against the unwritten rules, rude, and would be unwelcome (which may be a gendered reaction: see this piece!). But it had been over a year and a half, and I had addressed all the reviewers concerns. My advisor led me though how to do a re-submit. And I did. And after this point the story is (mostly) all rainbows and sunshine. I resubmitted in March, and the journal sent it out for review. I had an awesome subject matter editor, and two awesome reviewers, all of whom really challenged the methods and scientific interpretation in a respectful and constructive way. One of my reviewers signed his review. And being able to talk to him about methods made a huge difference, both in terms of my confidence in what I was doing and in terms of scientific interpretation. The paper is much better due to the review process, and I am very grateful to the time and diligence the editor and reviewers spent on it. I did a round of major revisions. And a round of minor revisions. And in May, it was accepted! Then it sat in preprint mode, behind a long list of already accepted manuscripts, until the end of 2015, when my paper finally made it to the front of the line. And then ESA contracted with Wiley to do publishing and everything got delayed slightly as the whole publishing house got transitioned over to new management. (The article coming out this week — the second week of February — is in the “January” issue…) But the paper is finally formally published. Yay! Grad advisors: Take your 2nd or 3rd year graduate students (or 1st year if they did a Masters) through the process of writing and publishing — an actual active manuscript, if possible. Teach them how to write, of course. But then, also teach them to write a cover letter. Show them that they will spend more time than they ever expected on framing and selling, on getting figures just right. Teach them how to read journals’ mission statements and how to pick a journal with a good fit. Show them that they need to be mindful of word limits and figure limits, and maybe you can’t actually have your figures in color for the journal with the best fit. Tell them that they may need to pick an editor and they’ll likely need to recommend reviewers, and teach them how to choose. Let them see what reviews look like, and show them how to write responses to reviews. Show them what “proofs” are and what to look for before returning them. These things all become routine (I imagine) over time, but first-timers don’t know them at all. I am kinda down on the whole “fit” thing. I understand that journals have specific audiences and so forth, but if a paper could justifiably be directed at multiple audiences, what should an author do? I am glad that general-purpose journals have emerged in the last decade, so that an author needn’t get completely stuck on “fit”. I’m a proponent of open science. But I also really think peer review is vital, and at its best, is immensely helpful. I don’t think the two conflict. Now that everything gets “published” online, in addition to (or instead of) being published in print, what the heck is the difference between an online “preprint” and a “published” article anyway? Once an article is available to anyone who wants it and can pay, shouldn’t it be considered “published”? Different journals treat accepted-but-not-yet-in-print articles differently, and it’s horribly confusing. Can we all just agree on a new paradigm where generally available = published? Manuscript trickle-over is a serious problem in academia — both for science itself and for scientists who cannot commit to more than a full-time paid job. It needs a solution. I haven’t come up with a full one yet, but the issue will likely be grist for a future post. Signed reviews are the best. I am planning to sign my reviews from now on. Margaret – congratulations and happy birthday! The path you describe for your paper is quite common. One thing early-career folks might not know is that if you aren’t sure whether a resubmission is legit or not, you can write to an editor and ask. That tidbit (which nobody tells you!) might have saved you a step or two. However, it sounds like your manuscript’s path made the paper stronger in the end, which is great. (I have one paper that was rejected by 6 journals before I published it. It’s far better for its troubles; although I have to say I didn’t enjoy those troubles at the time). Your observations about writing are also bang-on. I make similar ones in my writing book, which will be out soon. Another great post! Congratulations! Quite of few of my papers have followed similar paths. The reframing of an intro and discussion can hurt (all those beautiful hard fought words trashed) but it does really emphasize that the stories we tell about our data are just that. I think it is an important part of training to learn how to frame your story and it can be the toughest decision about writing a paper. It often shows when you don’t decide on a clear context for your results though in muddled logic in the intro. Really agree with your comments here! You can only learn this by doing and going through the whole process. The earlier the better. Congrats, and yes! Writing & submitting manuscripts as a grad student was *so* instructive to me. In terms of learning to frame arguments and think through the science but also just in terms of becoming familiar with the nuts and bolts of submission and review. Like Steven above my first paper went to something like 6 journals before it landed where it really belonged in the first place. The whole process was painful but a hugely helpful learning experience–and man that paper was polished by the time it came out. Congratulations. Like others I can relate to much of what you talk about. My first paper went through 4 journals. As Amy said, so much of the art of publishing is about the story – I don’t think they tell students about that enough. I have found that presenting my work and thinking about an audience and getting feedback on what clicked and what didn’t and seeing how other people see it is a super helpful step towards figuring out the framing. This is the first time I’ve read your blog I found it via a link on Dynamic Ecology (https://wordpress.com/read/post/feed/2871630/927910884), and you have a new follower in me. I have a Master’s in Environmental Written Communication, and because of my experience in that program with getting direction on non-coursework related academic issues, I really appreciate your tips and solutions here. I am also an English teacher, and really see the need for stronger writing instruction in high school science classes; too often, when I was teaching high school, I heard “that kid isn’t an English student; s/he’s math and science…”. I look forward to reading your journal article, though I didn’t see a title or journal title for it here–did I miss it? Hi again, Margaret… I’ve been thinking more about your topic in this piece. I think part of the scenario must be that journals can only publish so much content. I know when I ran a magazine, I too often had to turn down good submissions because of lack of space. While thinking about that part of the whole publishing game, I pondered the role of blogs. In our work at The Ecotone Exchange, we’re trying to get ecology and environmental science information to “Joe Six Pack” as the journalism standard readership is called. In graduate school, I heard over and over again that a key factor in getting at issues like climate change is to explain the science to the public–and I think there’s a need for sites like yours and mine to that end. While we love Nature and other journals, let’s face it–“Joe” isn’t reading them, right? 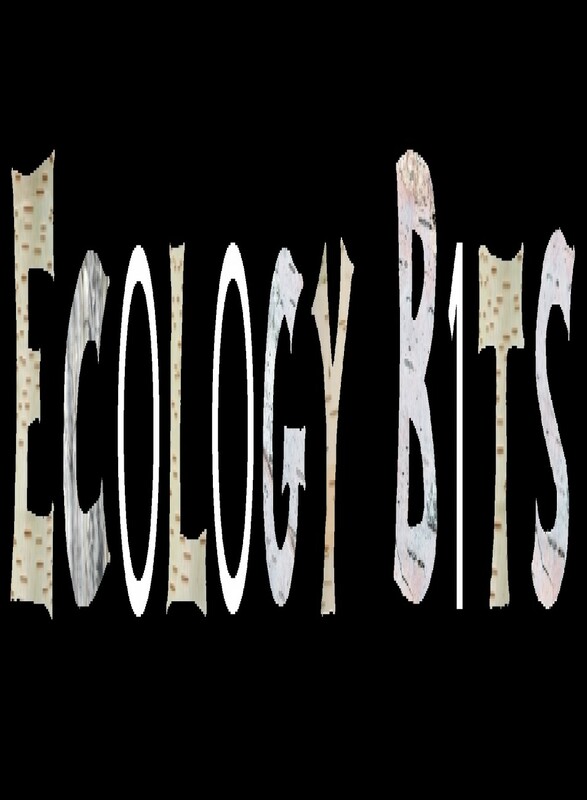 Then, this morning, I came across another post on Dynamic Ecology, one poo-pooing blogs by science writers… so the plot thickens, as they say.